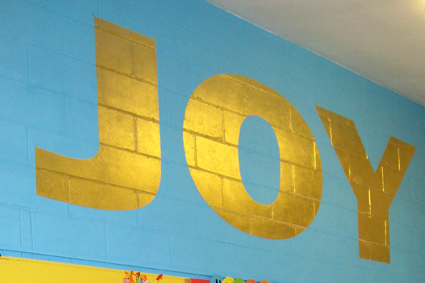 The school's gospel values were reproduced, in gold leaf, in each of the classrooms. 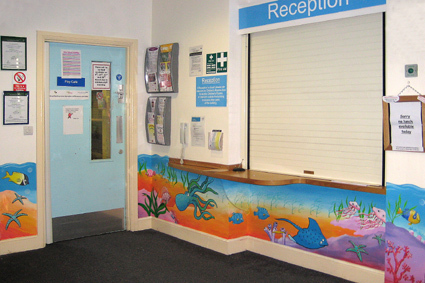 They were also used throughout the school and as a vibrant frontice piece in the school's main reception. 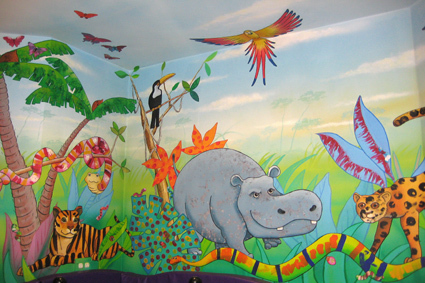 A Jungle themed mural and soft-play area were produced with the help of the pre-school aged children from the centre's nursery. 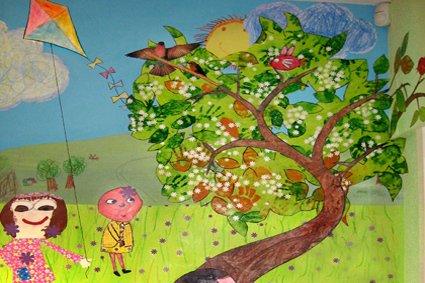 There were a series of work-shops where the children helped to paint the foliage and animals. 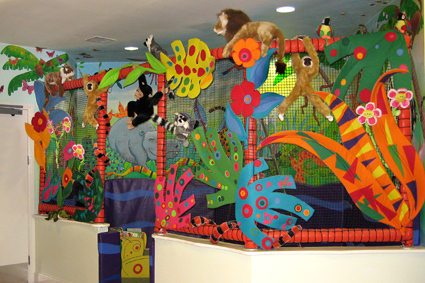 They also decorated the felt jungle shapes that adorn the netting. 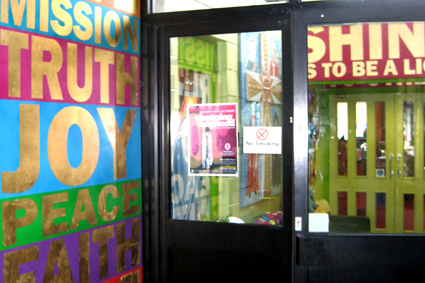 A school holiday mural project with participants from the local community. The children who took part were aged from 2 years upwards, helped by older siblings, parents and grandparents. 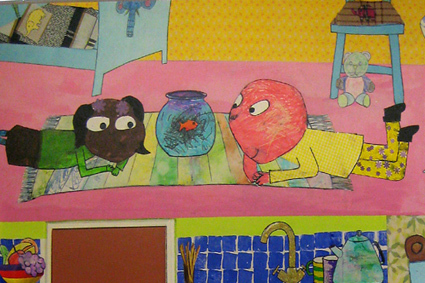 The resulting mural decorates the family drop in area. 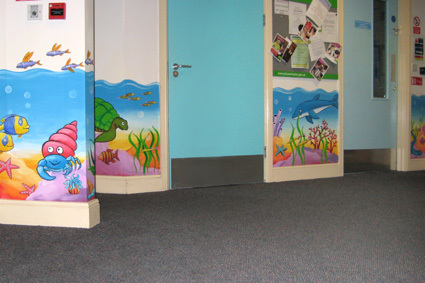 An underwater themed mural at toddler height for the reception and main entrance.